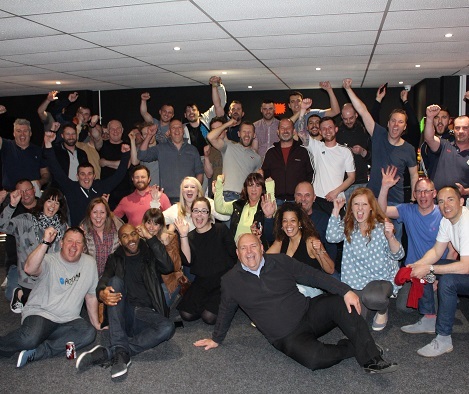 The Strata team have been busy raising money for our charity of the year, Danielle’s Flutterbyes in our annual go-karting event which was held at Redline Go-Karting in Sutton-in-Ashfield. A total of 48 colleagues, friends and suppliers all came together for a night of racing fun, managing to raise a staggering £4,106.20! Applebridge Construction zoomed into first place, while NC Plastering and CLS Construction pulled into the second and third slots. We would like to say a huge thank you to everyone that took part in this event and well done to our winners! There's plenty still to come in 2017, including our magnificent Charity Ball, so don't forget to keep up with our fundraising activities by taking a look at our events calendar.